Richard Staine is the Principle at SV Custom Quality Consulting, Inc., an insurance company dedicated to assisting seniors with understanding and navigating the insurance marketplace. 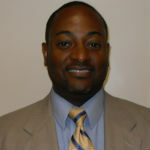 He has worked in the health insurance industry for over 20 years, during which he achieved multiple performance awards. Currently, Richard participates in senior socials, education individuals and the community on the different programs and resources available to them. Richard graduated from Houghton College with a degree in psychology and writing. He continued his studies at the New School for Social Research. Richard continues to be a committed member of the Little Flower Development Committee and an active member of the Little Flower Golf and Msgr. John T. Fagan Event Committees. He currently resides in Warwick, NY with his wife, Evelisis, son Noel, daughter Syanne and their dog, Lilo and cat, Summer.